Are you ready for some football. As you are aware this is Super Bowl week as game XLVIII kicks off this Sunday February 2nd at MetLife Stadium in East Rutherford, New Jersey. 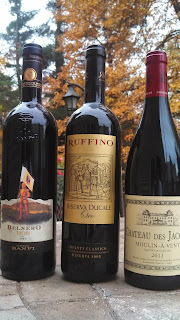 Yes a cold weather venue so attendees should be prepared to stock up on warming wines, brews and spirits. 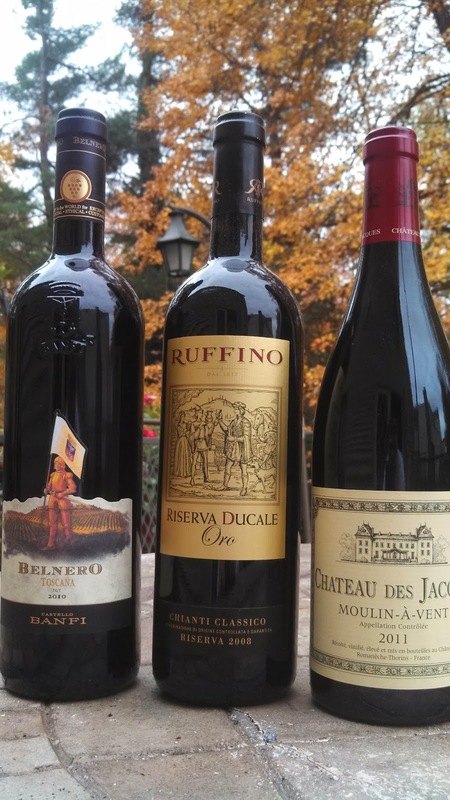 Since the game features two teams whose host cities (Seattle and Denver) are well versed in the local craft wine, beer and spirits movements, here is where these fans can find their equivalent in New Jersey and New York. 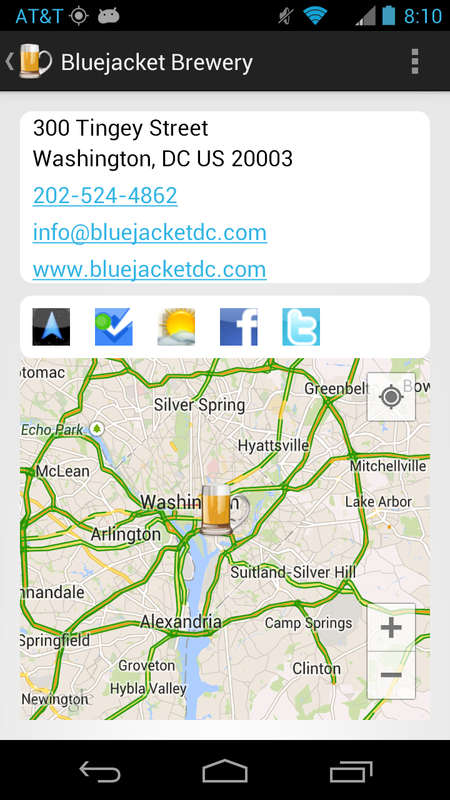 Better yet, theCompass Alcohol Locator mobile application can navigate you to any of these destinations as the image to the left depicts. The closest establishments to the stadium in New jersey are the New Jersey Beer Company in North Bergen followed by the Bolero Snort Brewery in Ridgefield Park. I've never tried their beers, but I'm sure there are flavors for everyone. Furthermore west there are a plethora of breweries plus two distilleries, the Black Prince Distillery and Jersey Artisan Distilling. Distillery tours are now allowed in New Jersey, but contact the distillery before visiting to ensure that they are open and offer tours. For those visiting or staying in New York City, there are a host of establishments in almost all of the boroughs - Manhattan, Brooklyn, Queens and the Bronx. 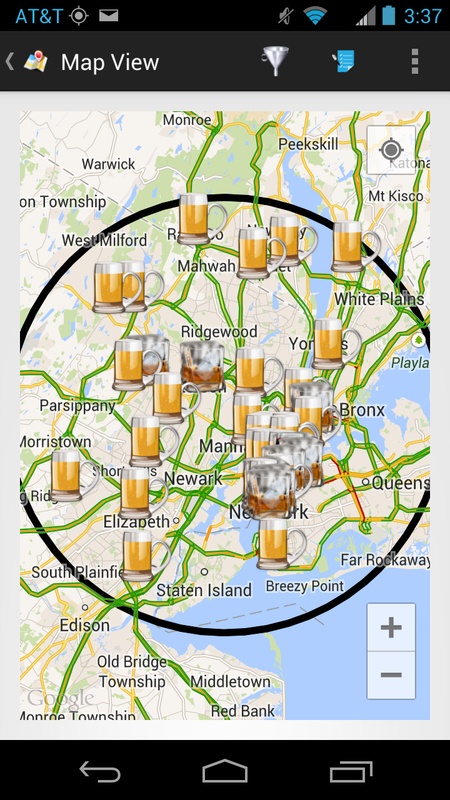 The most well known would be Brooklyn Brewery and the brewery offers a nice tour and tasting experience. Another well known Brooklyn brewery, Sixpoint Brewery, has put their tours on temporary hiatus while they renovate the distillery. While in Brooklyn schedule a weekend tour at New York Distilling Company or The Noble Experiment NYC and see why craft distilleries are popping up in the "City of Churches". Across the East River, in Manhattan there are several new brewpubs that have serviced and from previous visits we recommend the Chelsea Brewing Company. Looking forward to a great Super Bowl and if you plan to visit one of these establishments beforehand, call ahead to verify hours. 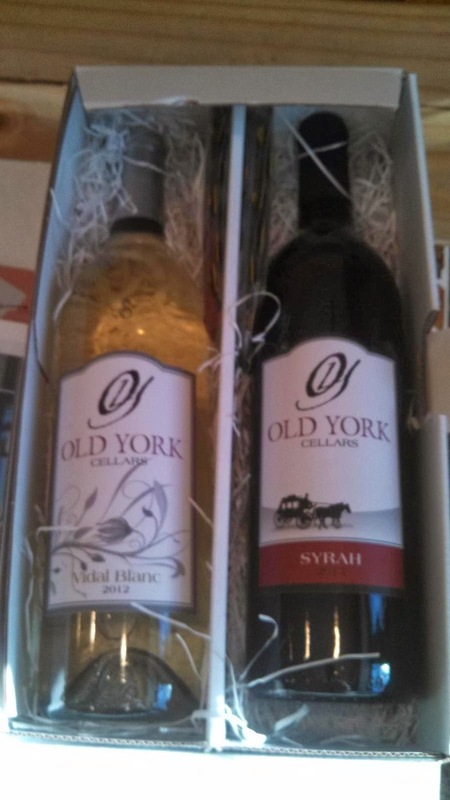 Cheers yo drinking local and an entertaining Super Bowl. 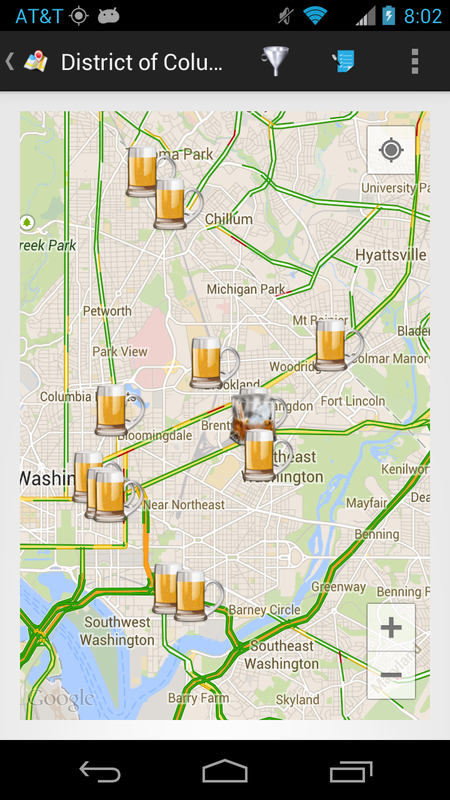 Yesterday I spent a rainy Saturday testing the various features of #theCompassApp Winery, Brewery, & Distillery Locator by visiting three Washington D.C. breweries. My first stop was into the far reaches of Northeast Washington to DC Brau Brewing - the District's first production brewery since the mid-1950s. The brewery was started by Brandon Skall and Jeff Hancock from 2009 - 2011 and the pair had to assist the local gov't in drafting new legislation to allow beer consumers to taste at the brewery and fill growlers. By now they are well known for their canned portfolio - The Public™ Pale Ale, The Citizen™ Belgian Ale, and The Corruption™ IPA. Today #theCompass navigated me to the back of the shopping center where a eased into the last parking spot. After entering the brewery and receiving my 4 free drink coupons, I discovered why the lack of parking - the brewery was packed. Visitors were tasting in the front room, the side area, and even in the packaging area - tasting and listening to music piped through large speakers. I quickly grabbed a sample of their Exaltation Holiday Ale and joined a brewery tour - learning about their history, process, production levels, and murals coating the brewery's interior. 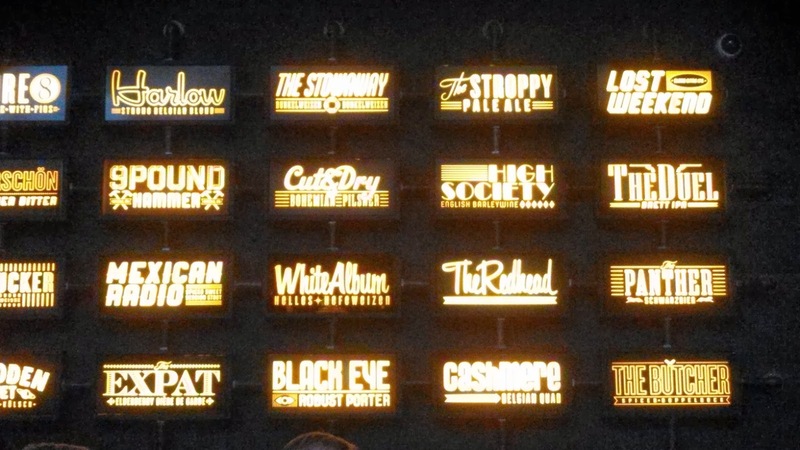 What a cool place to spend an afternoon - particularly when getting one of the last pours of their Pauncy Stout™. I had to share the good news via our social media channels using #theCompass' share functionality - allowing me to seemliness check on via Foursquare and share on Facebook, Twitter, and Google+. 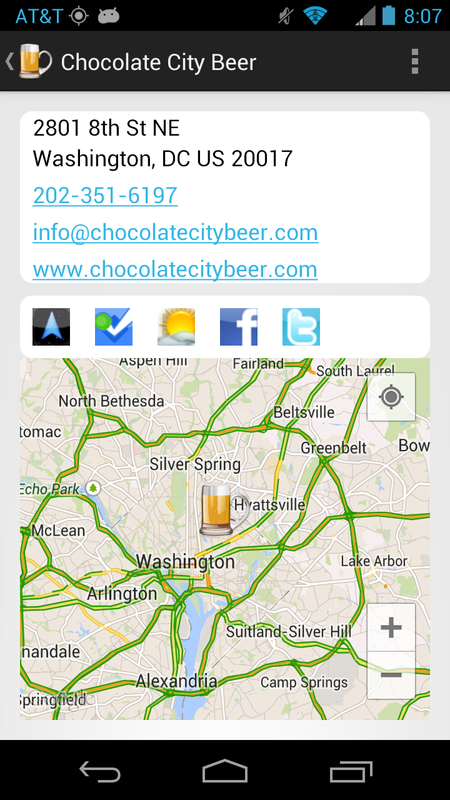 From DC Brau, the application navigated me easily a few miles to Chocolate City Beer, a much smaller establishment but equally hospitable. This brewery was started by Jay Irizarry and Ben Matz and is located close to Catholic University. In fact, the building once hosted the stone making equipment that created the The Basilica of the National Shrine of the Immaculate Conception (the largest Roman Catholic church in the United States and North America). Now most Catholics like a good beer and Chocolate City offers a few from their every day lineup of Cornerstone Copper Ale, Big Chair IPA, and Cerveza Nacionale (black lager). 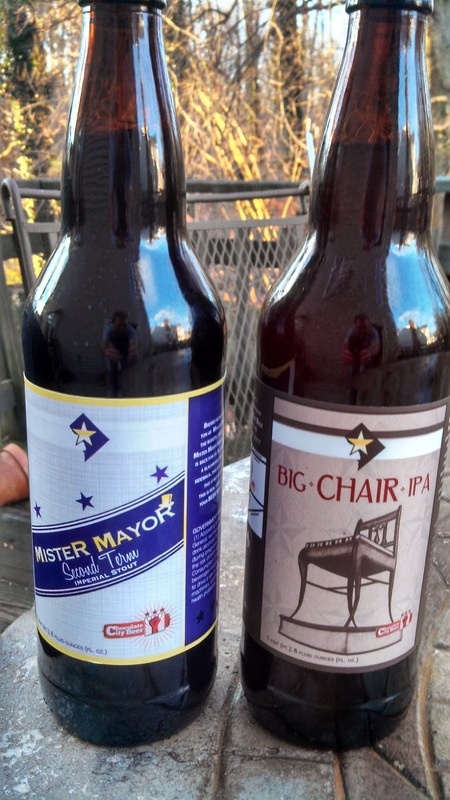 My favorites were The Big Chair - named for the District's own monument in Anacostia - that delivers a smooth refreshing finish for an IPA and the Mister Mayer Second Term Imperial Stout. This latter is named after former mayor Marian Berry and is fermented with Marion Berries (a blackberry developed by the USDA ARS breeding program in cooperation with Oregon State University). The is a really nice beer - chocolate notes mingle with a sour ale-ish finish - and don't worry if a few berries make it into your pour. That's by intent. Unfortunately I couldn't visit longer being on a tight schedule and thus parked the car at work and used a cab for my last stop: Bluejacket Brewery. And a cab or Metro is highly recommended for this stop; there's a lot to sample - talking about over 20 beers on tap - all produced in house. And they are good; Beer Director Greg Engert and Brewmaster Megan Parisi must work long hours keeping the brewery supplied because once again - this brewery was packed - two to three deep at the bar and all tables filled. And this was four in the afternoon - evenings must be even crazier. But don't let the lines prevent a visit - the beer and breadth of their portfolio is worth it. Want a pale ale or pilsner, no problem; English bitter, Imperial IPA, Porter, Stout, Hefeweizen, Biere de Garde, Kolsch, Dunkelweizen, Barleywine - all on the menu. My favorite was the Mexican Radio, a chocolate stout laced with spicy peppers and believe me it's like sinking your teeth into a gourmet chocolate bar of the same nature. I can't wait for baseball season, with the brewery two blocks from Nationals Stadium - good baseball and beer -> what's not to like. 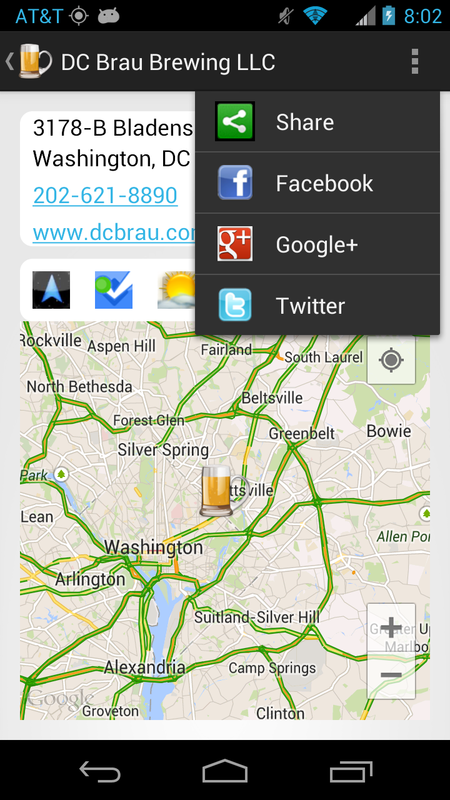 Cheers to the DC brew scene. Next on the agenda - 3 Stars Brewing Company, Atlas Brew Works, and Right Proper Brewing Company.